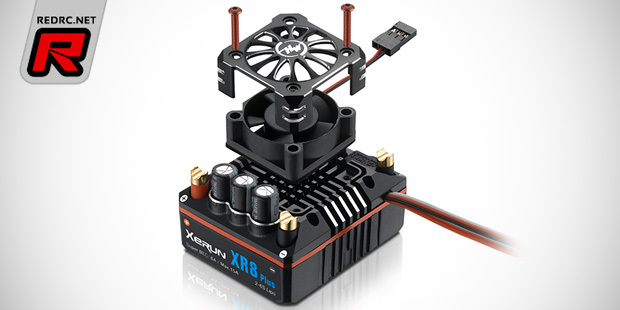 Coming soon from Hobbywing is the Xerun XR8 Plus brushless speed controller for 1/8th scale applications. 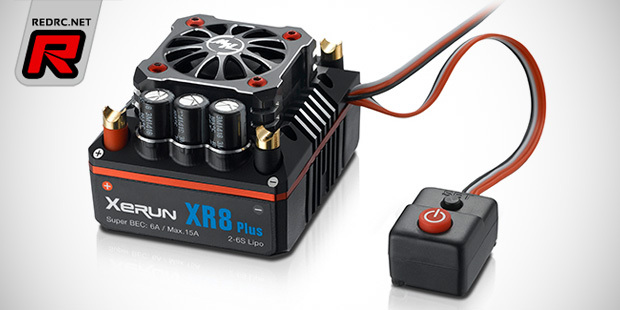 The 6S LiPo-compatible ESC offers a highly efficient heat dissipation system, a 15A BEC system with selectable 6V or 7.2V output and an advanced electronic switch with improved durability compared to standard mechanical switches. The controller is usable with sensorless brushless motors as well as Hobbywing’s forthcoming new 1/8th sensored motor which can be run in a so called full-sensored mode. More information and the specifications will become available in time for the release.